The Laura Heine quilts are very popular and she continues to introduce more and more patterns. 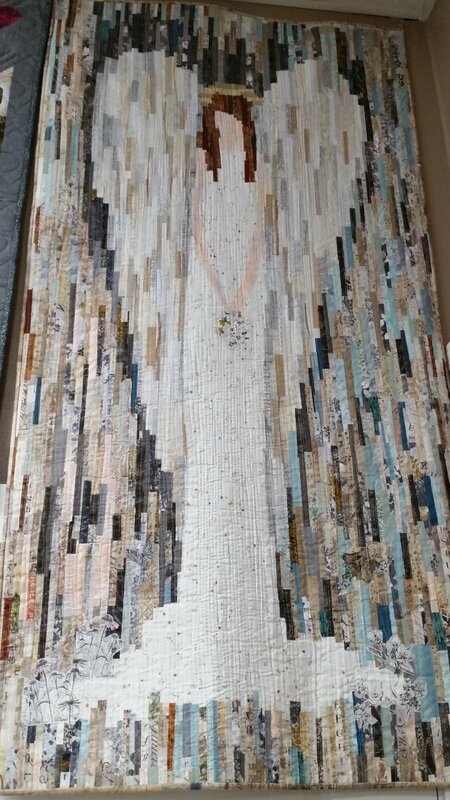 This collage is a little different from her others because you use strips of fabric to create your image. The foundation is similar but the piecing is done with the placement of strips. There is a complete supply list available with a paid class registration. We offer 20% off fabric, notions and supplies for the class.